Since I work in the publishing industry, I’m always on the lookout for books about it. Surprisingly, considering that the publishing industry’s main purpose is to put out books, there don’t seem to be that many. Sure, there are hundreds of books about how to get your book published and how to find an agent, but I’ve only found a handful of books about the history of the industry itself, or what the job of an editor or publisher is actually like. Michael Korda wrote one of those books—sort of. Korda started as an editor at Simon & Schuster in the late 1950s and worked there for decades, eventually becoming editor in chief. His memoir, Another Life: A Memoir of Other People, published in 1999, looks back on his years in the publishing industry. His book contains precious little about the nuts and bolts of being an editor, aside from being able to get through a manuscript quickly and be able to make accurate judgments about it from that initial reading. Most of his book involves reminiscing about various characters he encountered in his years at S&S, the “other people” of the subtitle. Korda was raised in England, the son of a Hungarian family that had made its fortune in the film industry. In his 20s he set out for the United States, and landed at S&S. Most of his early stories about his time in publishing involve people that I, born in 1979, had never heard of: Harold Robbins. Irving Wallace. Jacqueline Susann. As the book went along, though, I encountered a few whose fame has outlasted them, like Tennessee Williams, and the presidents Richard Nixon and Ronald Reagan. Many of them seem to have had difficult personalities; of all the people profiled in the book, there are precious few of them I would actually like to meet. Aside from the anecdotes, the most interesting part about the book was its chronicle of the transition of publishing companies from being small and privately held when Korda started out, to going public, to becoming a slice of multimedia conglomerates today. In spite of that transition and the changes it wrought, Korda emphasizes near the end of the book that the mysterious craft of editing still plays a major role. The reading public is smart: no matter whose name is attached to a book, if it’s not good it won’t sell. People are still needed who can read a manuscript quickly, make a judgment about whether it contains the makings of a good book, and figure what is wrong with it and how to fix it. I first encountered the writing of Richard John Neuhaus when I took a class on Christianity and culture in seminary and I had to choose a book to review from a list. The title of Neuhaus’s The Naked Public Square: Religion and Democracy in America stood out to me. He had written it in 1984, twenty years before, and some of what he wrote about was dated to the time when groups like the Moral Majority (which he was definitely not a part of) was at its most influential. But overall the book provided a memorable metaphor for the relationship between religion and public life in America, and made a solid case for the continued relevance of religion to politics—”a middle way between theocracy and secular totalitarianism,” as Randy Boyagoda puts it in his new biography of Neuhaus (p. 198). What drew me to reading this biography (Richard John Neuhaus: A Life in the Public Square) was my desire to understand the two broad movements of Neuhaus’s life: from left-wing activist and commentator in the ’60s to right-wing activist and commentator in the ’80s and beyond, and from Lutheran pastor to Catholic priest. The period when he cut ties with the Left out of principle was when I had the most admiration for Neuhaus. But in his later years on the Right—especially after he began to have the ear of the Bush White House—I think he would have done well to bring that same commitment to questioning political orthodoxy. In particular, even as a Catholic priest I think he reinterpreted papal statements about war, economics, and capital punishment to make them more in line with American conservatism. But even though I don’t always agree with some of the political stances he took throughout his life, I think Neuhaus’s central insight that “politics is a function of culture, and … culture is a function of religion” (232) is worth remembering. It’s impossible to completely scrub the public square of religious commitments, so it is best to stop trying and start reflecting on how to act in a public square that contains such diverse commitments. I also think Neuhaus the man is worth getting to know, and Boyagoda’s biography is a wonderful introduction to the man and his thought. Louis Zamperini is an incredible man with an incredible story: one of the world’s best mile runners in the 1930s, he competed in the 1936 Berlin Olympics while still a teenager. When World War II began, he went to the Pacific as a bombardier. In May 1943, his plane crashed. He floated on a life raft for 47 days until he was taken to Japan as a POW, where he lived in brutal conditions until the end of the war. Following the war, he became a Christian at Billy Graham’s 1949 Los Angeles crusade, and worked for many years as an inspirational speaker. 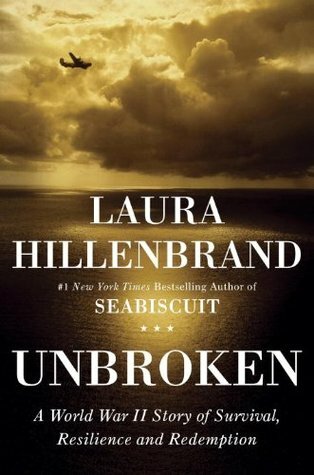 Laura Hillenbrand, author of Seabiscuit: An American Legend, has taken this narrative and told it beautifully. She has used archival research and hours of interviews to take her readers back in time to places like Torrance, CA, Hawaii, and Naoetsu, Japan. Even readers who know the broad outlines of the story will be pulled along by her skillful storytelling and attention to detail. The pace of the book never slackens, even when Zamperini is floating on the ocean or waiting out the war in a series of POW camps. This is an important book, especially as the generation that fought World War II continues to fade from the scene. Their stories are so often inspiring, educational, and edifying. I wish all their living memories were captured in such a vibrantly written way as Zamperini’s has been. This biography by Roger Steer was written in 2009, and was based in part on conversations with Stott and several of his friends. It traces Stott’s life from his early days as the son of a prominent physician, to his days at Cambridge and his decision to become a pastor, to his time as curate and rector of All Souls in London and his rise to international prominence. It gives details about his many travels, his contributions to the evangelical Christian movement and his friendships with other well-known people. In it, Stott comes across as a man with a gift for friendship, a sharp mind, a sense of humor and a deep commitment to Jesus as Lord of all of life. The book is not afraid to present Stott “warts and all,” but there really aren’t many warts. Despite his gift for friendship, Stott could be reserved. With his great intelligence and disciplined lifestyle, he could sometimes be impatient with those who were more sloppy in their thinking or less disciplined in their living than he was. However, he was a man who was conscious of his faults and humble enough to admit them. 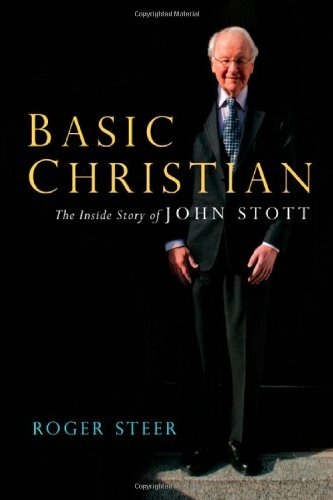 Stott has long been a hero of mine, and this book did nothing to change that. If anything, it made me miss Stott even more. He was able to remain biblically faithful and speak charitably with those whom he disagreed. The latter characteristic is in especially short supply these days, both in the church and the world. I’d recommend this book to anyone who is interested in Stott’s life, especially those who might be intimidated by Timothy Dudley-Smith’s larger two-volume biography. Most people who know me know that I spent three summers in Skagway, AK, driving tour buses. During that time, I gained a lot of knowledge about the 1898 Klondike Gold Rush, during which Skagway became a boomtown. Even now, many signs in Skagway contain the word “Klondike,” even though the actual Klondike is another 400 miles north (a fact which some tourists in Skagway are quite disappointed to learn). 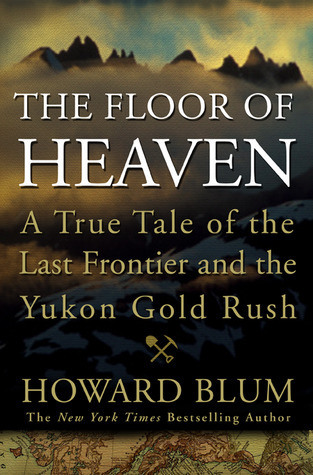 So when I saw Howard Blum’s The Floor of Heaven: A True Tale of the Last Frontier and the Yukon Gold Rush this spring, I decided I had to read it. It tells the stories of three men before, during, and after the gold rush: George Carmack, the man who (along with Skookum Jim and Tagish Charley) discovered gold in the Klondike; Soapy Smith, the con man who was the most powerful man in Skagway during the gold rush; and Charlie Siringo, a cowboy who became a Pinkerton detective. Before reading this book, I knew a lot about the first two, but had never heard of the third. The story starts well before the gold rush, with each chapter focusing on one of the three men. There are chapters on Carmack’s journey from an AWOL marine to a member of the Tagish Nation, Soapy’s growth from a grifter to the head of an organized crime syndicate in several Colorado towns, and Siringo’s various cases as a “cowboy detective.” As the book progresses, the three men’s lives overlap more and more, as when Siringo meets Carmack in Juneau and Smith tries to steal Carmack’s gold. Blum has clearly done his research, and has invested a lot of effort in telling a tale that sustains interest, even for someone who has heard part of the story before. There was only one point, late in the book, where it seemed Blum made a mistake. He writes that when Carmack brought his gold out of the Klondike, he and Siringo “crossed the Chilkoot summit and began their descent into American territory.” Two sentences later, he writes that they had left Bonanza Creek (in the Klondike) “earlier on that June morning.” There is no way they could have traveled 400 miles in less than a day. Also, Blum writes that they took a string of packhorses over the Chilkoot. But in all that I have read about the gold rush, the Chilkoot was too steep for pack animals. Something about how Blum tells this part of the story doesn’t make sense. Aside from that, I’d recommend this book to anyone who wants to read an engaging book about an exciting period in US and Canadian history. I’ve enjoyed Douglas Adams’s books for a long time. When I was young, my parents put into my hands all four (at the time) volumes of The Hitchhiker’s Guide to the Galaxy and even Dirk Gently’s Holistic Detective Agency, and I devoured them. I have always been impressed with Adams’s humor, intelligence and imagination. This biography was an informative book, but definitely more for a British audience than for an American one. I knew a few of the big names mentioned in the book (like the members of Monty Python and two members of Pink Floyd, who were just a few of Adams’s many famous friends), but there were many that I didn’t know. There is a name glossary in the back that I referred to from time to time, but despite that I found that the frequent occurrence of names I didn’t know made the text hard to follow in places. A positive point about the book was that the author was able to get to the truth behind several of Adams’s oft-repeated (and slightly inaccurate) anecdotes. A negative is that I felt like I was being dragged through an interminable succession of this-happened-then-this-happened. I would have appreciated being given more insight into Adams’s writing, aside from the fact (well-documented in Hitchhiker) that he persistently and artfully avoided doing it as much as possible. I have been a fan of G.K. Chesterton ever since I picked up a copy of Orthodoxy while I was in college. Since then, I’ve read several books by or about him, including The Man Who Was Thursday, The Everlasting Man, St. Thomas Aquinas, Francis of Assisi, The Napoleon of Notting Hill, Joseph Pearce’s biography Wisdom and Innocence, Garry Wills’s literary study, and several of the Father Brown stories. It was with excitement and a little trepidation, then, that I picked up Kevin Belmonte’s book Defiant Joy: The Remarkable Life & Impact of G.K. Chesterton. “After all,” I thought, “What can be said about Chesterton that hasn’t already been said? The answer I got from this book was: not much. But that isn’t a criticism of the book. 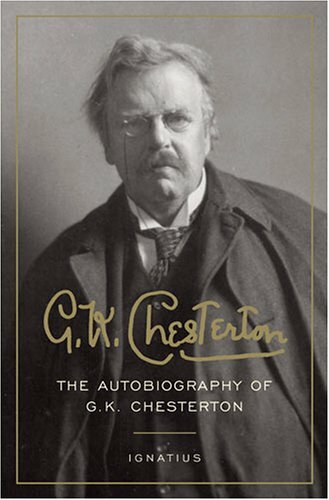 The book is intended as an invitation to Chesterton, not an exhaustive biography. If the reader keeps that aim in mind, this book will not disappoint. Belmonte devotes chapters to several of Chesterton’s most famous works (the ones mentioned above, plus several others), quoting extensively from the works themselves as well as reviews. Belmonte seems particularly interested to show how Chesterton was received in the United States, as he quotes from several reviews run by the New York Times. Belmonte does a good, if unspectacular, job in this overview of and invitation to Chesterton. He makes the case that Chesterton has something to say to our own age of confusion and incivility, not just his own. If this book encourages more people to read Chesterton, Belmonte will have accomplished his task. Personally, I hope that he succeeds beyond his wildest imagination. Note: Thanks to Thomas Nelson for a review copy. I was not asked to give a positive review. 1. Mohandas Gandhi – Autobiography: The Story of My Experiments With Truth. Gandhi, I believe, needs no introduction. 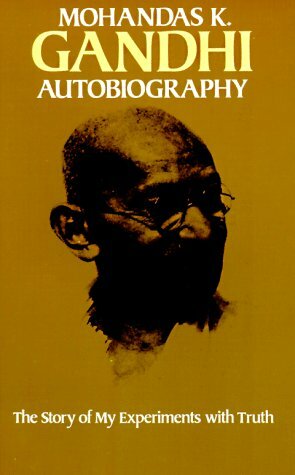 This book is Gandhi’s autobiography, covering the time from his birth (1869) to the early 1920s. This isn’t the first account of his life I have read; I saw Louis Fischer’s biography of him in a used bookstore five years ago and read it immediately. I’ve had this book on my shelf for a couple of years, and I decided to prioritize it after Mary and I watched Gandhi, the film about his life that won the Academy Award for Best Picture in the early ’80s. 2. 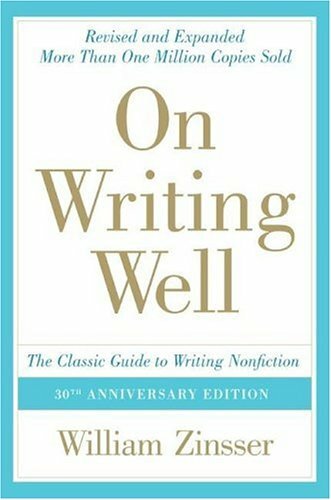 William Zinsser – On Writing Well, 30th Anniversary Edition: The Classic Guide to Writing Nonfiction. I read a previous edition of this book when I was in college (10 years ago), and I read this edition for work. It is largely the same book, with a few edits and a new chapter on writing memoir. It is a classic for good reason. Zinsser writes confidently and well about how to become a better nonfiction writer. I’d recommend it to anyone who has that as a goal. I know one person who dips into it regularly, almost reading it as a devotional. It’s that good. 3. John Howard Yoder – When War Is Unjust: Being Honest in Just War Thinking. I’ve been a fan of Yoder’s ever since I read his The Politics of Jesus when I was in college. At the time, I saw it on a shelf in the university library and thought it looked interesting. I had no idea that Yoder was an incredibly influential theologian from the Mennonite tradition (which means he was a pacifist). This book is so short that it is really a booklet. Yoder’s aim in it is to keep just war theorists honest. He was, as I mentioned, a pacifist, but he believed that churches in the just war tradition have not held as strictly to that tradition as they ought to. When it came right down to it, churches in the just war tradition (with a few exceptions) went along with whatever wars their nation decided to fight without seriously considering whether they were just. 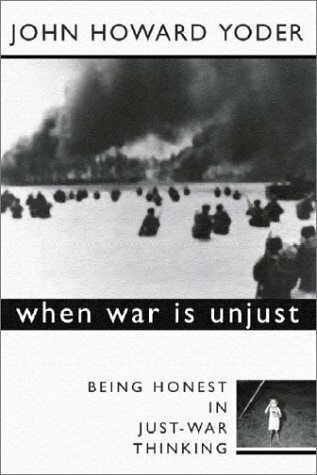 A sentence on the last page sums up Yoder’s argument: “If the tradition which claims that war may be justified does not also admit that it could be unjustified, the affirmation is not morally serious” (82). 4. Mignon Fogarty – Grammar Girl’s Quick and Dirty Tips for Better Writing. This is another book that I read for work. It gives grammar tips in an entertaining way, and I think it would be interesting particularly for someone who does not know much about grammar. I did learn a few things about grammar, and I was reminded of a few things that I had forgotten. There were long stretches of the book, though, where Grammar Girl was preaching to the choir. I would say that I have an above-average knowledge of English grammar (although like everyone I can make mistakes), so I am most likely not part of the target audience.